Rich, velvety textures glide on effortlessly with superior smoothness. 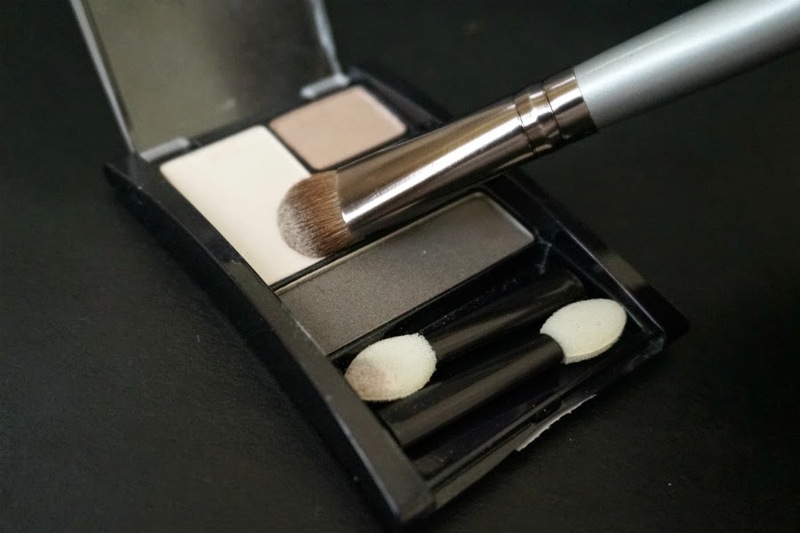 The velvet-tip applicator included in Expert Wear Eyeshadow Quads blends without tugging or pulling. Ophthalmologist tested. Hey guys. I finally got a bit of time to post a decent review. I finished reading a couple of novels this past week so my free time went into that. I hope to have my "Work vs. Play" time in order so that I can enjoy a balanced lifestyle. As the saying goes: All work and no play makes Jack a dull boy. Back to the review. 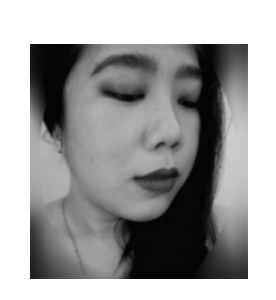 I love my neutrals so even though I only have a pair of eyes to put eye shadow on, I can't seem to stop myself from buying those pretty-looking things. I always gravitate towards taupey neutrals because I feel that they look elegant and understated. 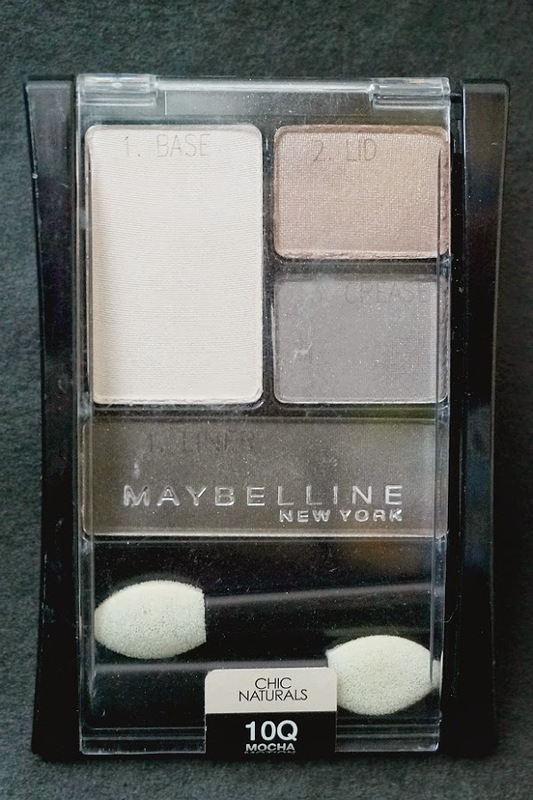 Maybelline's Eyeshadow Quad in Mocha Motion consists of four neutral shades. The colors lean a cool-toned to me. I love the contrast it makes against my skin. 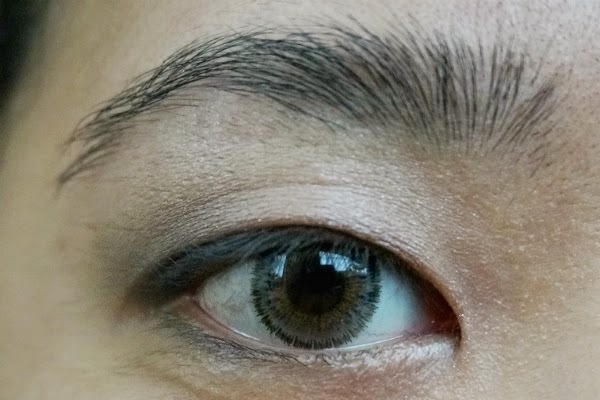 I feel that greys and taupes make my eyes pop better and brighten complexion more, unlike browns that seem to look muddy and dirty on me. 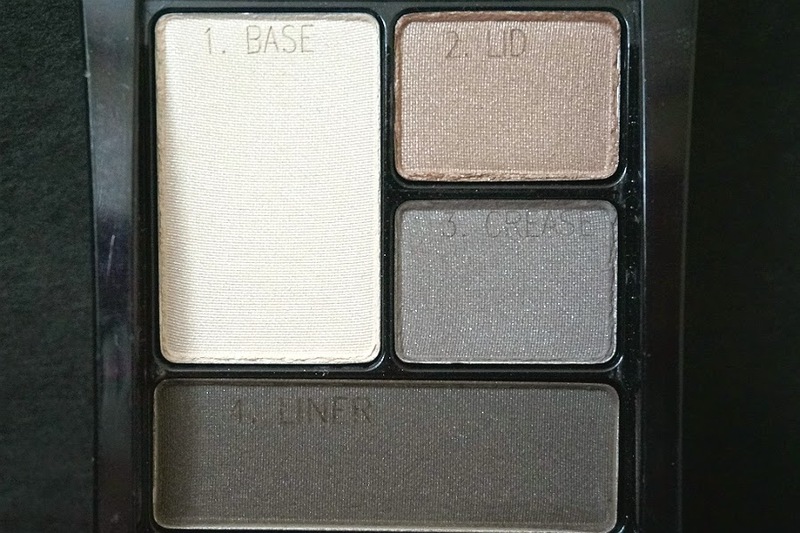 The crease shade (medium taupe-grey) is my favorite. This applied evenly with no fallout. 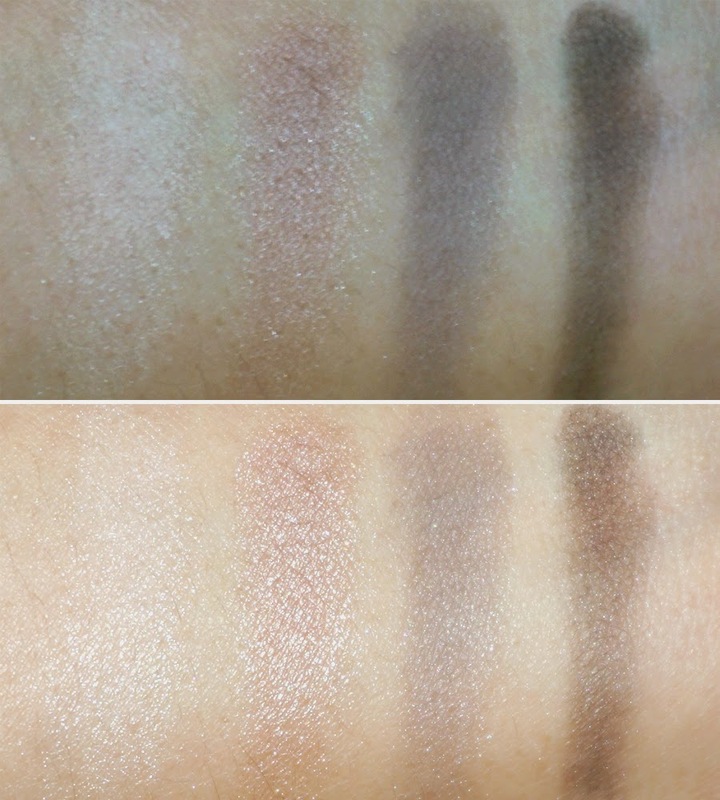 This is also less shimmery compared to the other three shades. My next favorite would be the lid shade (light shimmery champagne-rose), which applied more evenly compared to the taupe. 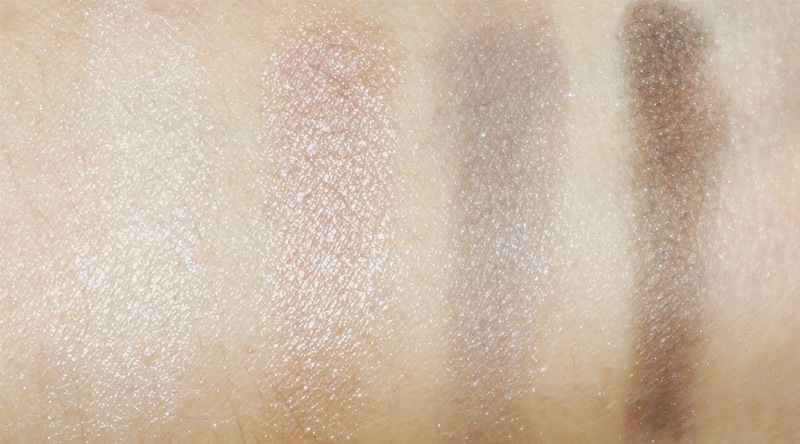 The base and liner shades are also pretty colors but were a tiny bit patchy and chalky. The colors apply a bit sheer but that's why I actually love this quad. 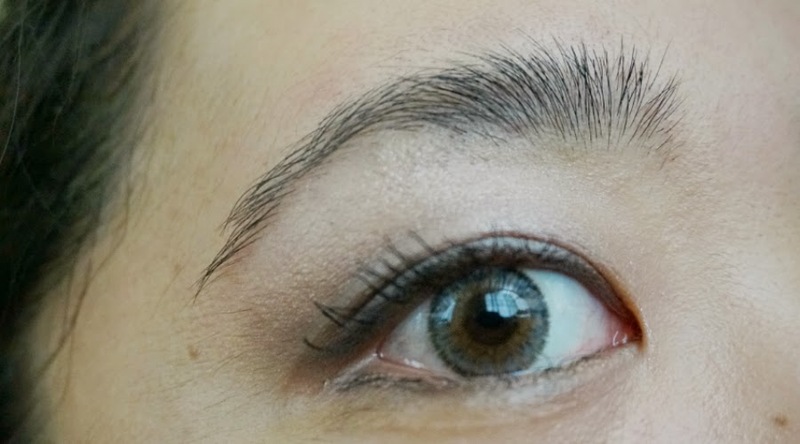 They can definitely be built up but I don't see the point of it if you're actually aiming for a neutral eye look. These colors work great together to give you an understated neutral look, appropriate for any professional environment. The shades are satiny and the shimmers add dimension and interesting contrast. 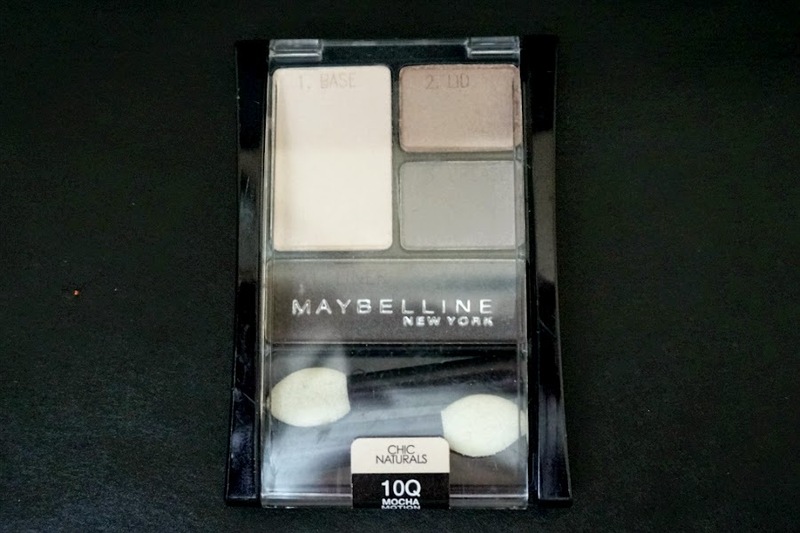 Overall: Maybelline Expert Wear Eyeshadow Quad in Mocha Motion is the perfect quad to to achieve a subtle, fool-proof makeup for everyday wear. 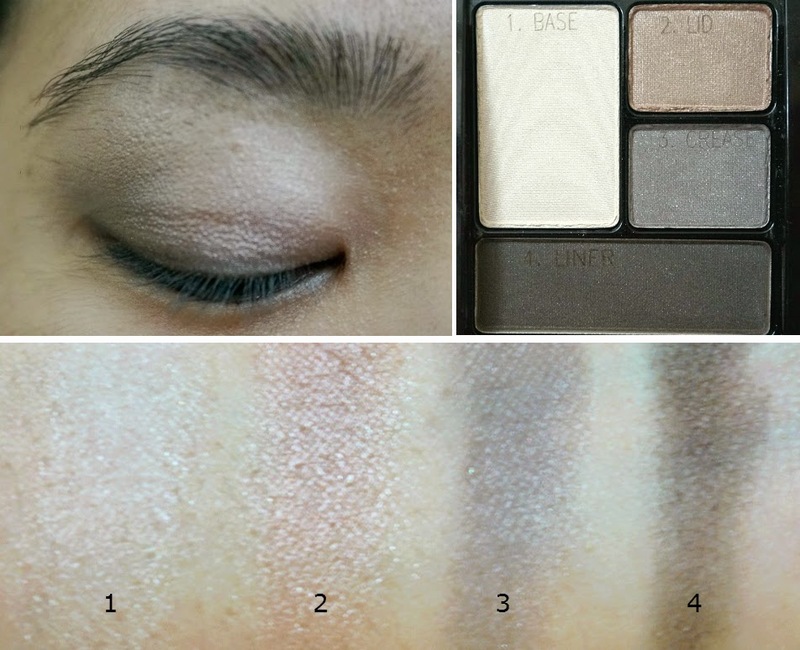 The shades compliment each other and can provide a number of neutral eye look. 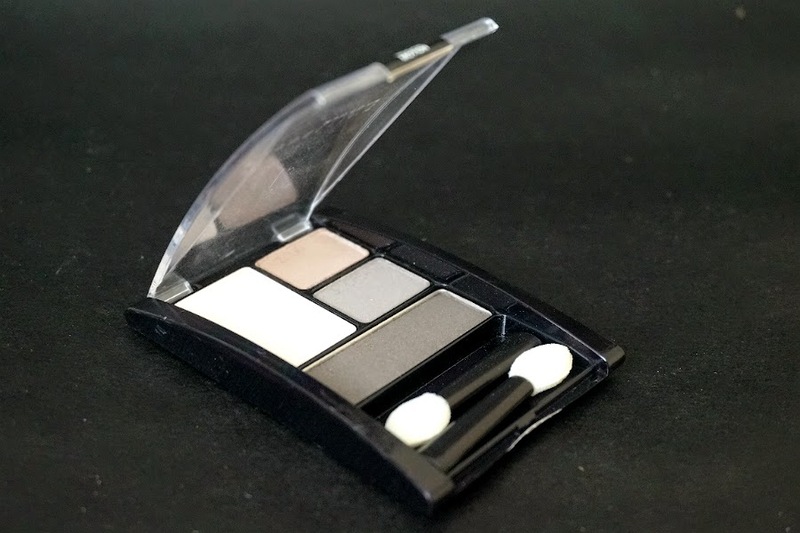 The eye shadows look sheer and feel a bit chalky but otherwise applied evenly and satiny. Texture is good, with minimal fall-out. Wear time is average, with up to 3-4 hours on my oily lids.